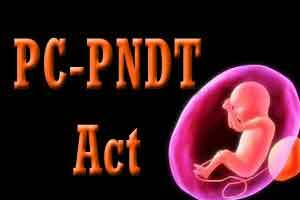 New Delhi: PC-PNDT authorities are going to get stricter on the IVF centres in the capital, with major lacunae observed by the authorities in the maintenance of records by such centres. The authorities have specifically asked the IVF centres to regularly submit the reports with respect to outcomes/delivery status (Male/Female) of all the IVF procedures done at the respective centres. It is reported that in a meeting of the State Supervisory board that was held in October last year under the chairmanship of the Health Minister, Delhi, the analysis of reports submitted by the IVF centres to the State Appropriate Authority revealed that the centres were not submitting/ submitting incomplete records with respect to the outcomes/delivery status (Male/Female) of all the IVF procedures.